The best beaches in Malaysia are a flight away! 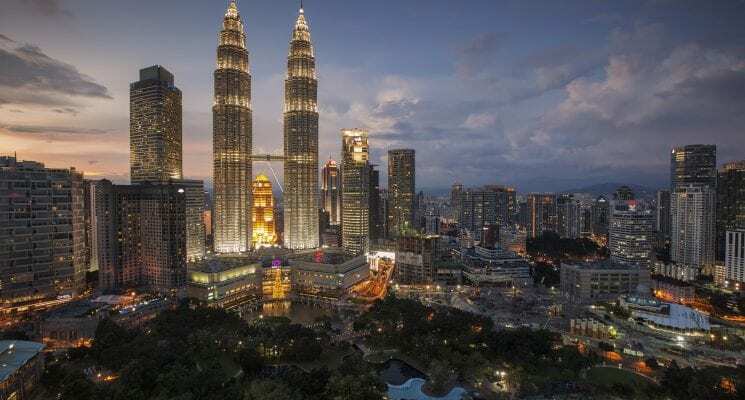 Malaysia is a must-visit Southeast Asian country for anyone looking to immerse themselves in a place marked by rich heritage, colorful history, tasty food, and beaches. Many many gorgeous beaches. Southeast Asia is home to a great number of beautiful islands, but tourists often overlook Malaysia’s beaches when looking for the perfect getaway. 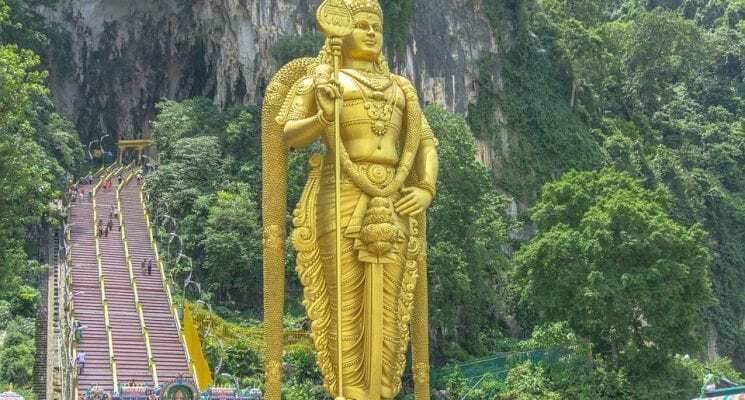 If you want to explore the coastlines of Malaysia for a pristine and refreshing vacation, here are some of the best beaches Malaysia has to offer. 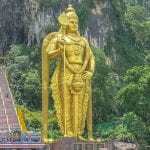 If you are looking for other things to do in Malaysia have a look here. 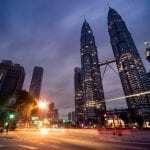 If you are visiting the island nation’s capital make sure you check out our articles on things to do in Kuala Lumpur, and if you want to find a great place to stay without breaking your budget check out our guide to where to stay in Kuala Lumpur. Now, without further ado, the best beaches in Malaysia! You can get your fill of superb sandy beaches in Redang Island Archipelago alone, as the peninsula’s large number of resorts easily make it one of the top beach destinations in Malaysia. Let’s start with the most famous beach in the enclave, Teluk Dalam Kecil. Teluk Dalam Kecil is deemed as the best beach in Redang, and judging from the tourists’ reviews of the place as well as its annual turnout, the title seems warranted. Travelers flock to this beach because of its soft, fine sand and crystal-clear waters, offering swimmers a good look at the colorful marine life in the region. However, the downside is that this beach is exclusive to Taaras Beach & Spa Resort, so be sure to book a reservation if you’re interested. Taaras Beach and Spa Resort, one of the best-rated accommodations in Redang, lies only two kilometers away from Lapangan Terbang Redang airport. 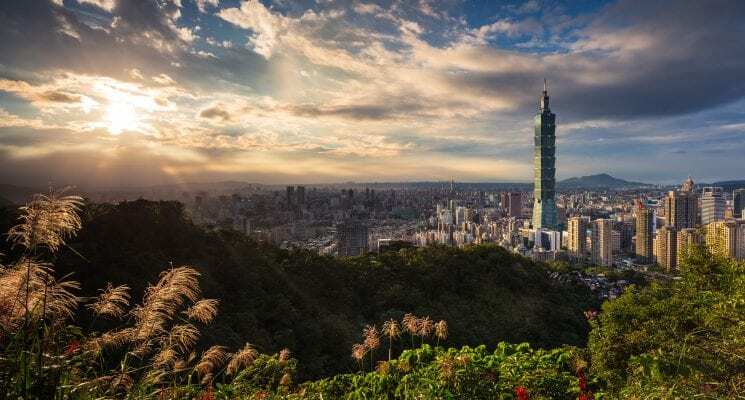 The 5-star hotel has a restaurant that offers all-day dining, serving both international and local cuisine, while also offering top-notch body treatments and massages at their spa. Teluk Dalam Besar is another dazzling beach located just next to Teluk Dalam Kecil, with only a small cape separating the two beaches. You can try to cross over by foot; just be careful as the water has made some parts slippery. Otherwise, you can kayak or take a boat ride to get there. Unlike most of the beaches in Redang, Teluk Dalam Besar is not privately owned by a resort, so if you do make the effort to come to this beach, you will be rewarded with refreshing serenity and welcome privacy. 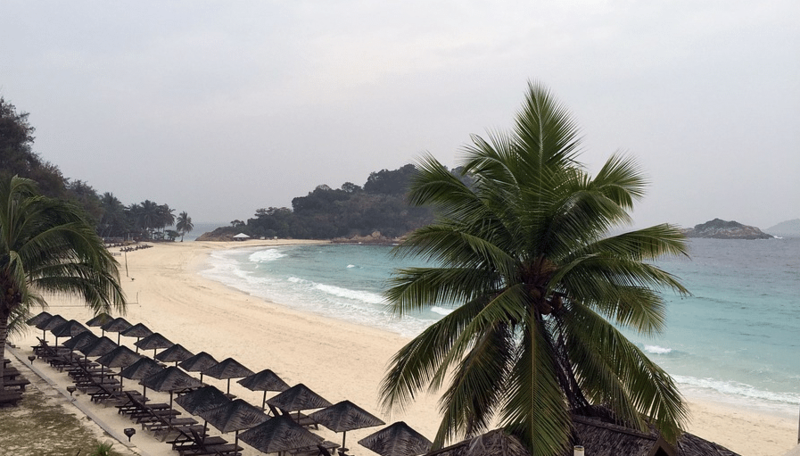 Redang’s big island, Pulau Redang, houses the archipelago’s largest tourism draw card, Pasir Panjang Beach (Long Beach). Pasir Panjang is the longest stretch of beach in the island region, and is also where majority of the renowned resort hotels are located. If you’re looking for spacious, tropical-styled villas and beachfront pools, you can try staying at Sari Pacifica Resort & Spa. Aside from easy access to the beach, Sari Pacifica also provides barbecue facilities, as well as snorkeling and diving equipment for adventure-seekers. 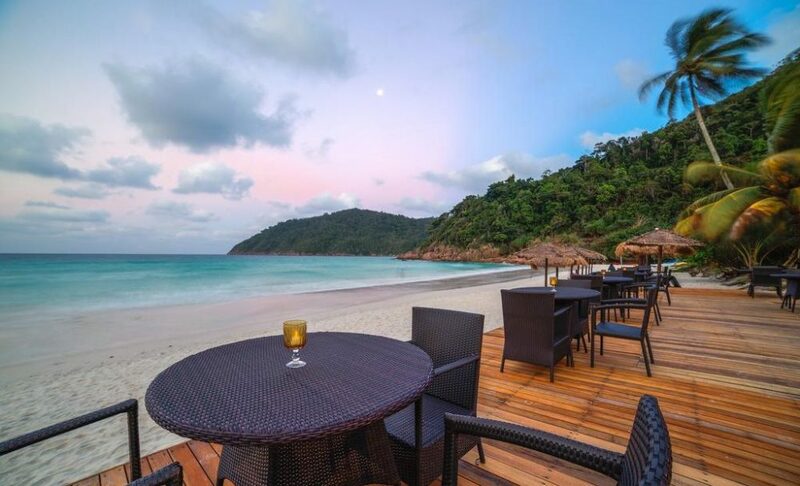 If you would prefer to stay at elegantly constructed wooden rooms that provide an overlooking view of the sea and the nearby rain forests, you can make a reservation instead at Redang Island Resort. 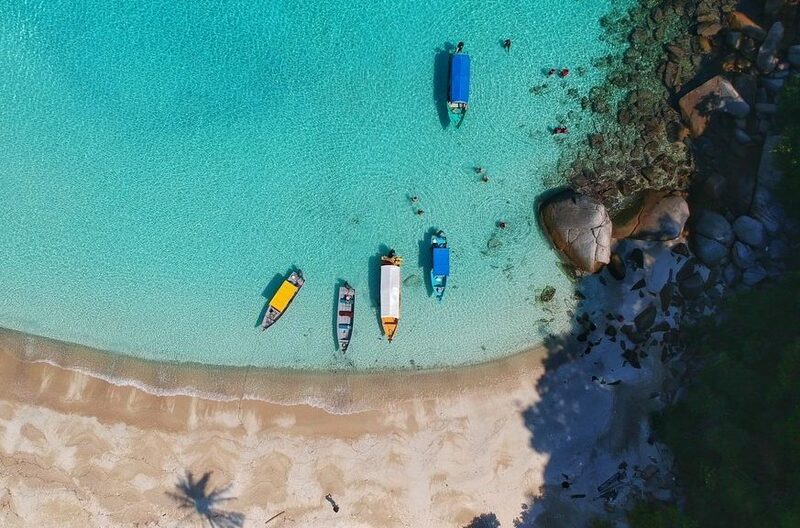 Pulau Redang has more than a dozen hotels and spa resorts to choose from, so feel free to try as many as you can to maximize the island experience. The beaches of Redang Island are famous for their marine environment more than any other beach in Malaysia. While snorkeling, scuba diving, and boat trips are activities common across the beaches in the country, the island resorts of Redang are also famous for offering tours that allow visitors to explore the corals and see the local marine park; they even have their own turtle sanctuary where travelers can develop a new appreciation for the shelled reptiles. Still on the east coast of Malaysia, Tioman Island also offers a lot of attractive beaches. The most recommended, however, would have to be Juara Beach. Unlike most of the other Malaysian beaches, Juara Beach has beautiful golden sand coupled with a lush verdant scene. With its collection of small hills and lagoons, exploring the local landscape is also a must if you are to visit Juara. There is also something else worth knowing for your trip: being on the east coast, Juara Beach is the only spot in Tioman Island where you can watch the sunrise in all its grandeur. As such, more and more people are coming to visit, so you might want to try looking in during non-peak travel dates. Along the west coast of Tioman, you will find Salang Beach. Most of the tourists that visit Salang come for diving, as the beach is known for the many reef sites and shipwrecks in the area, perfect for underwater exploration. Interested backpackers can choose from popular diving sites Pulau Tulai (Coral Island), Batu Malang, Fan Canyon, and Chebeh, among others. Salang is also famous for its active nightlife, with overnight parties a common sight for the vacationers. If you are not into scuba diving and are not the party-type either, then the nearby Teluk Duyung (Monkey Beach) might be a better location for you. The beach is named after the crab-eating monkeys that inhabit the area. If you find them, the monkeys are friendly enough for the camera, so make sure you snap a good picture or two. 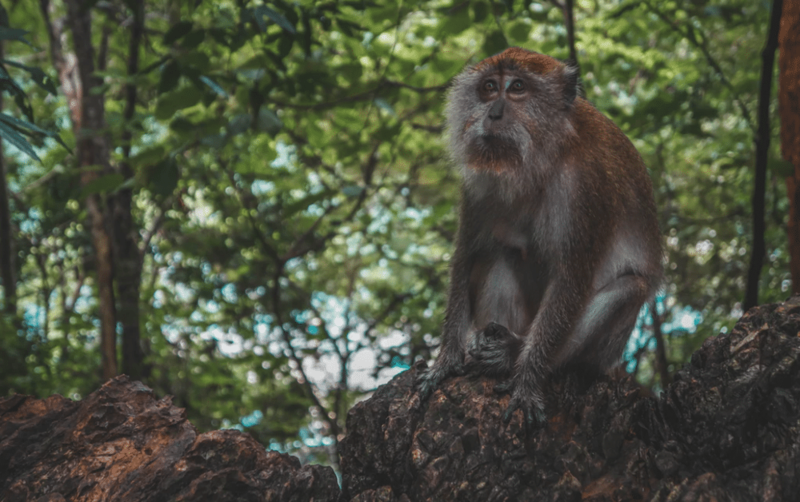 Other than interacting with the cute primates, you can also try snorkelling (beginner-friendly since the waters are shallower in these parts) or trekking the rain forests. Getting to Monkey Beach is an adventure in itself since there is no road access, the only ways to get to the island are either by boat or by trekking through the coastline. Don’t worry though, the peace and quiet you will get from this beach is worth the extra effort. Travel along the southwestern tip of Tioman Island until you see a small village with a cozy coast and you will have arrived at Lanting Beach. There aren’t many activities available here as people usually come here just to lie down and relax on the smooth sands. The village is also close to Japamala Resort, one of most exclusive and luxurious resorts in the island. Japamala offers a rustic eco-luxe experience with its colorful house reefs, suitable for nature-loving couples or solo travelers looking for a warm and pampering stay. The Langkawi archipelago, made up of 99 islands, is situated on the west coast of Malaysia. 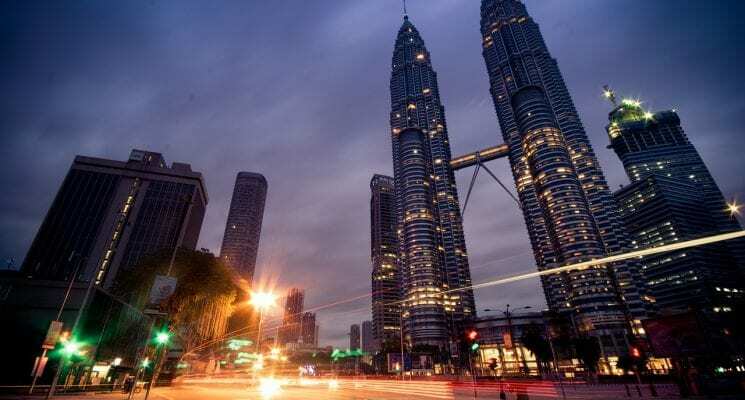 While its beaches aren’t as favored as those on the country’s east coast, it is easier to schedule trips for the beaches on this side because they are not as affected by the weather disturbances that visit Malaysia. 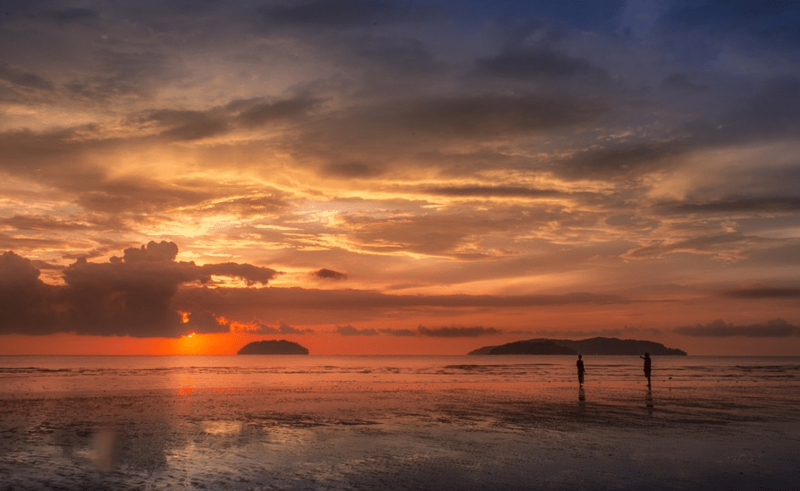 As Juara Beach is famous for its sunrise view, Langkawi’s Tanjung Rhu Public Beach is well-known for providing tourists arguably the best sunset view across Malaysia. Couples and sunset chasers visit the beach to get a glimpse of the famous purple-and-gold twilight scene. Additionally, the area is quite secluded despite its popularity, so it might be more enjoyable for people who don’t like crowded beaches. 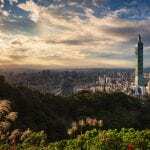 Unfortunately, food and souvenir products are also more expensive here due to the remoteness of its location. Drive a few kilometers to the west of Tanjung Rhu and you will get to Pantai Pasir Hitam (Black Sand Beach), another sought-after beach in Langkawi. Locals used to believe that the black sand was the result of a mythical event. In this lore, a Garuda (a mythical half-man, half-bird being) kidnapped a princess for romantic purposes, but a prince who loved that princess waged war against the creature for the right to marry her. Although the prince won, the war produced many casualties and the sands turned black because of it. According to scientists, however, the beach’s black sand is caused by significant amounts of minerals tourmaline and ilmenite coming from Gunung Raya (Mount Raya) getting carried over by spring water and mixing with the sand. There are not a lot of activities that you can do here: in fact, many people do not consider Black Sand Beach as a place for swimming. Instead, the beach is recommended for fishing and family picnics. Further to the west of Black Sand Beach is Teluk Yu (Shark Bay), the most famous beach in Langkawi. Despite its name, there are actually no sharks in the area except for some stone sculptures on display. The beach is full of cozy nipa huts, tall palm trees, and waterside restaurants, all of which make for a picturesque scene. The waters in these areas are also unusually calm, great for teaching kids how to swim. Shark Bay is open to the public 24/7 and does not have an entry fee, so you can expect quite the crowd when you visit. Most of the beach park’s visitors are family and children, but it also receives its fair share of couples and solo travelers. There are too many beaches in Malaysia to include in one list, but given the country’s rich environment and how well the people take care of it, you can be sure all of them will be beautiful. Feel free to explore the unlisted beaches as you travel across the country, and make sure you engage in the local activities to fully appreciate the experience. What are you waiting for? Get your swimsuits ready and schedule a trip soon to enjoy the wonderful beaches of Malaysia. So there you go guys, that’s our guide to the best beaches in Malaysia. Make sure to bring your own snorkel to save some money on rentals, and ALWAYS pick up all of your garbage and waste when leaving the beach. We hope we have helped inspire you to visit one of these amazing places, so happy travels, and we’ll see you on the road!